quiere, ve y tiene - easy repetitions to remember forever! 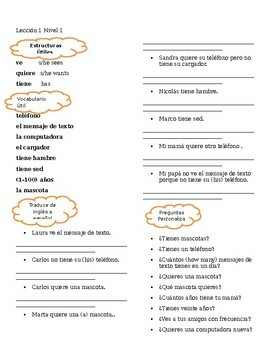 Practice of the structures quiere, ve and tiene. Students will get tons of repetions of theses structure and useful vocabulary, so that they will remember any time they need to use them when speaking or writing in Spanish.